In Week 2, the Warlocks have continued prototyping and have continued to finalize design plans. Mentors and students have been working together well to ensure that our robot will be the best robot we can make. Any questions that any student or mentor has, are answered quickly so that the build process can continue. In the coming weeks, the team will be moving towards a final robot to pass off to the programmers. Once the robot is completed, the programmers work to get all the code loaded onto the robot and to have it running smoothly. We hope that this year our robot will do even better than OTIS did last year. This week we are highlighting the CAD team. This week the CAD team, led by Tyler and Katie, has been working on the design plans so they can pass the drawings off to the build team. 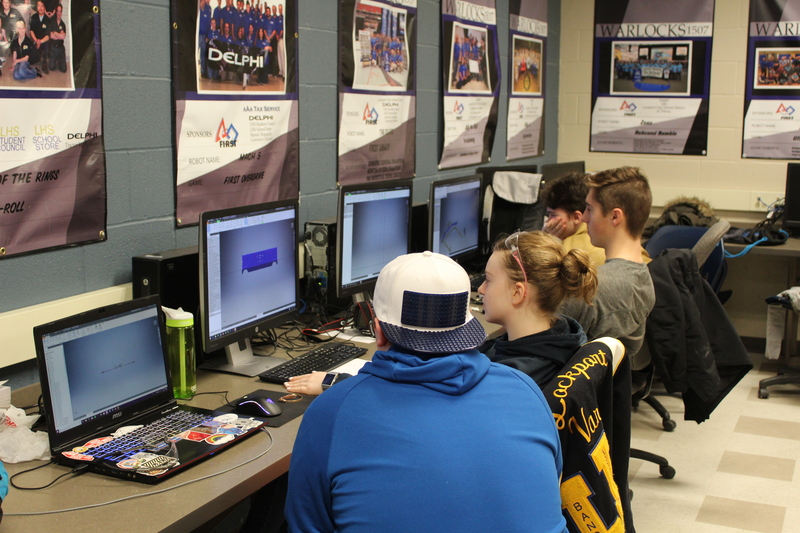 Throughout the week students and mentors have come to them for dimensions for parts of the robot and the CAD team has been making sure to get them accurate dimensions while continuing to finish the robot design.